There are trillions of live beneficial bacteria in the human gastrointestinal (GI) tract, known as the gut microflora. They play an essential role in supporting and maintaining strong immune and digestive systems, so it's important to have the optimum balance of these beneficial bacteria. 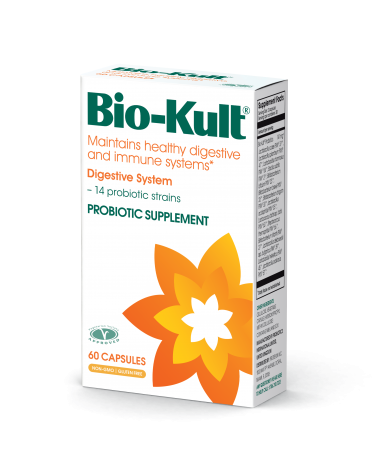 Bio-Kult live bacteria capsules are researched and formulated by Probiotics International Ltd and are manufactured in the UK to the highest standards.